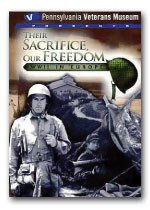 The primary goal of the Pennsylvania Veterans Museum is to educate the public about the experiences of U.S. Veterans and the sacrifices they made during times of war. 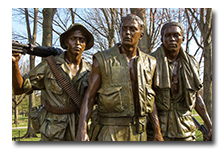 To this end, the Pennsylvania Veterans Museum develops and produces documentary films and lesson plans and makes them available to anyone interested in learning more about the American veteran experience. Since America’s founding, women have been driven by patriotic zeal to serve their country while concurrently pursuing greater economic and social opportunities. 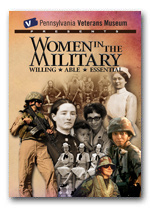 From uncommon soldiers who disguised themselves to fight, and nurses that faced horrific wounds, to those who proudly wear the uniform in battle zones today, women have contributed to our military might in ways unknown to most Americans. This is their story. It is a tale of pride and love of country; a quest for status and recognition; a journey of dedication to the freedoms we all relish. 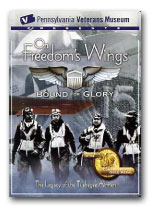 Hear the personal tales of the first all-African American flying unit, along with the numerous obstacles they overcame while breaking military color barriers, debunking deeply held beliefs that Blacks could never become skilled fighter pilots, and making history in the skies over war-torn Europe. 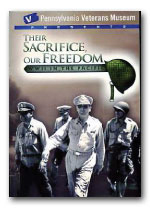 This documentary covers the war in the Pacific, from eyewitness accounts of the attack on Pearl Harbor, to the Japanese surrender ceremonies aboard the USS Missouri in Tokyo Bay. 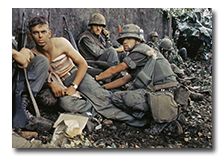 “Out-takes from Vietnam” traces the broad humanitarian efforts of military troops during and after the Vietnam War, including efforts that continue into the present day. 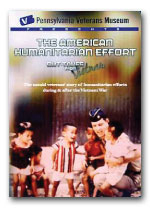 Click on the “READ MORE” button below each film to view and download lesson plans.